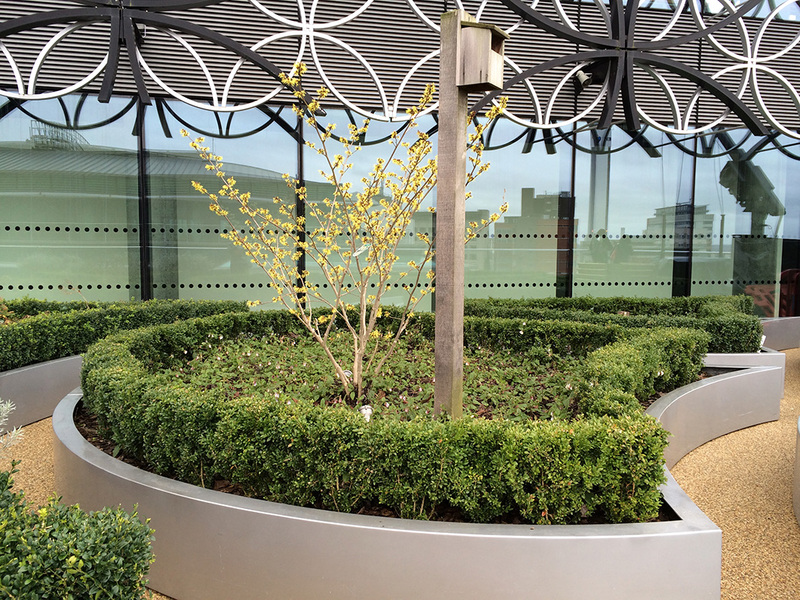 A long awaited visit to Birmingham gave a chance to enjoy some of the new architecture and planting on show. 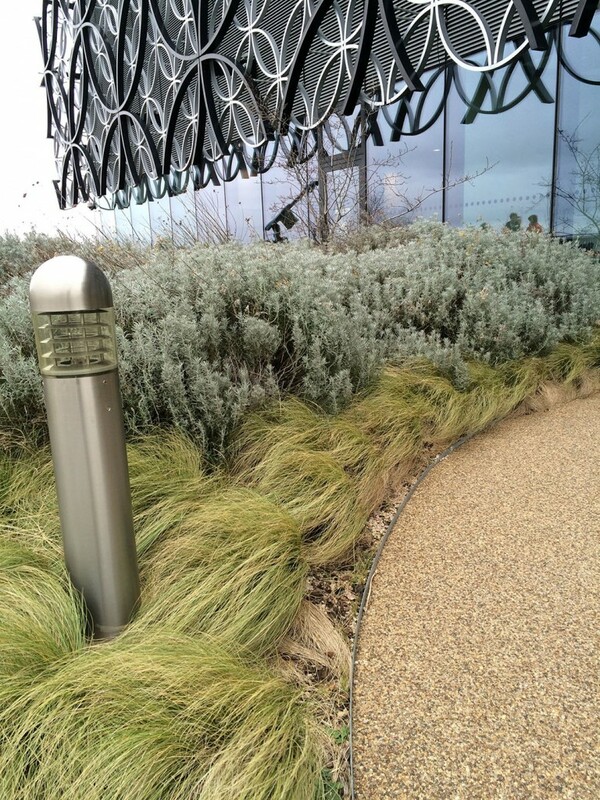 Top of the agenda was a trip to the Library of Birmingham designed by Dutch architects Mecanoo. 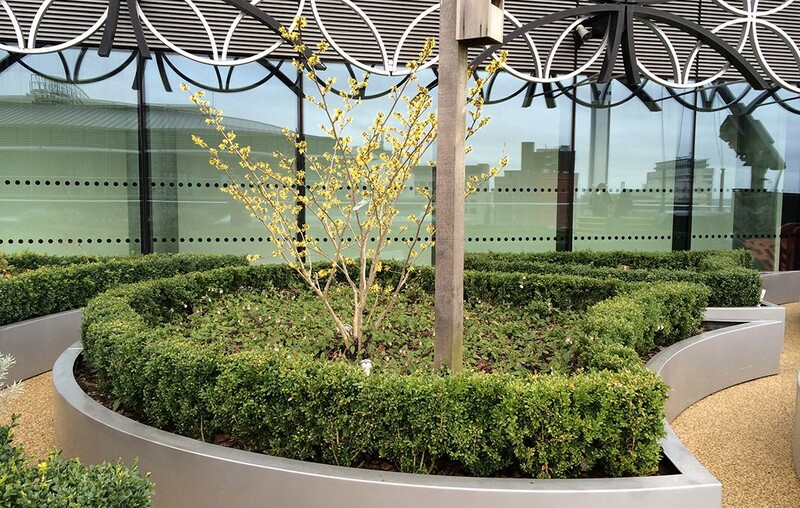 There on the roof terrace a single beautifully placed Chinese witch hazel (Hamamelis mollis) shines out against the stunning facade. 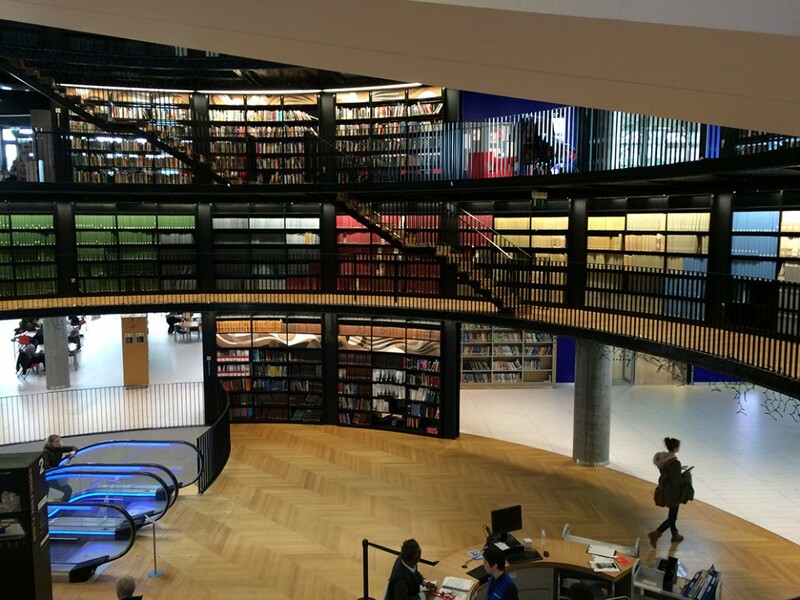 Inside, books never looked so good – housed in this sweeping space with it’s luminous escalators. 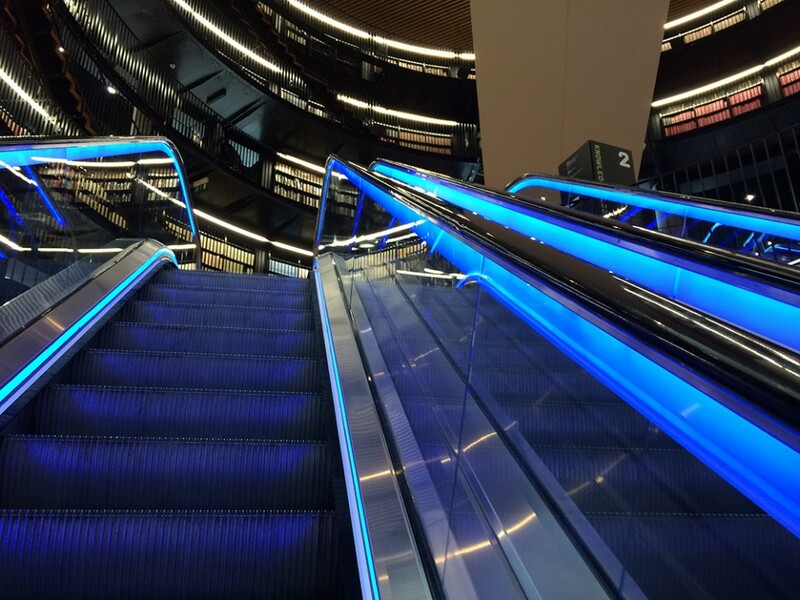 The escalators delivered us to the planted roof terraces. Landscape architects for this project were Applied Landscape Design and the contractors were Frosts and Prater. It was interesting to see the planting in February – and realise the kind of conditions that have to be tolerated in such an exposed location. We noted the use of many wind and salt tolerant shrubs that are the backbone of our own practice down in Cornwall. 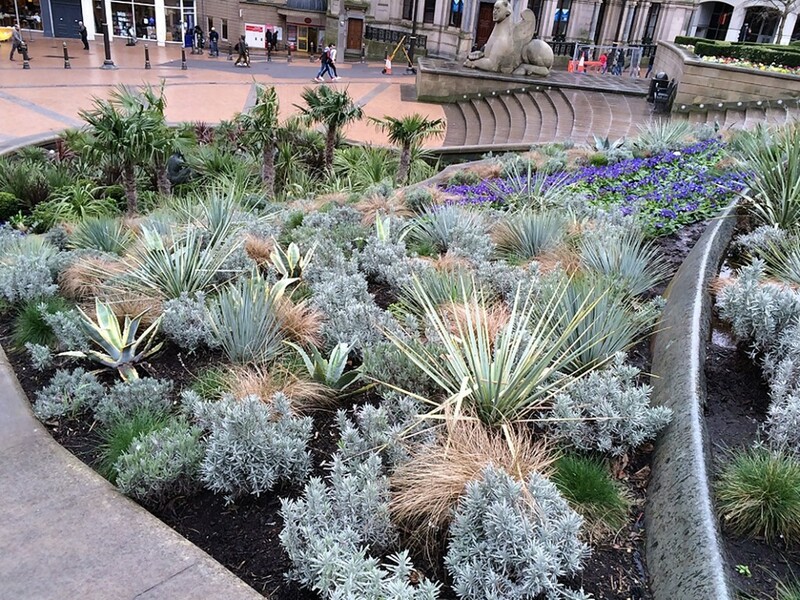 In Victoria square the fountain (one of the biggest in Europe) has now been planted up with a surprising mix of drought-tolerant plants. Agave americana, Yucca rostrata, Helichriysum italicum and grasses make a dynamic planting scheme. However, it was sad to see that the soil was waterlogged and there are likely to be many dead plants unless the situation is remedied soon. 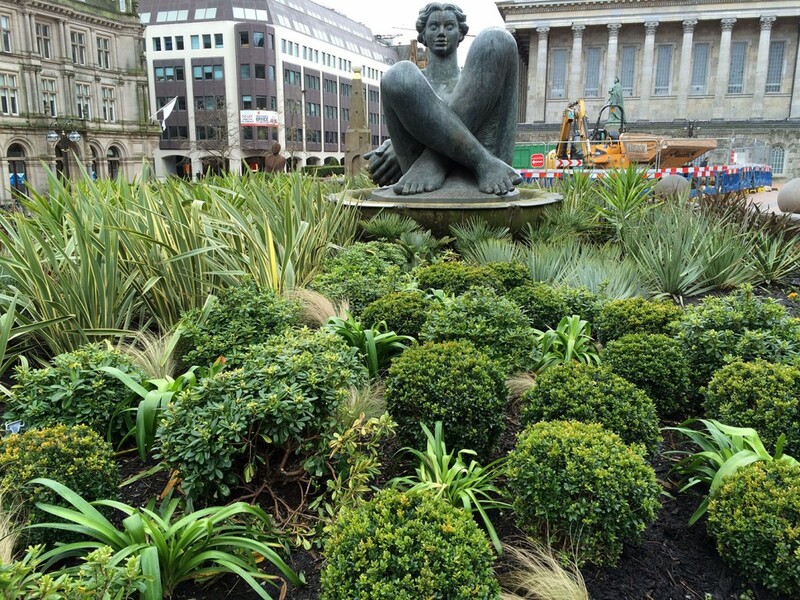 Affectionally named ‘The Floozie in the Jacuzzi’ the reclining statue looked rather startled to find herself sitting in a sea of Phormium tenax ‘Variegatum’, Buxus sempervirens and Pittosporum tobira ‘Nana’. 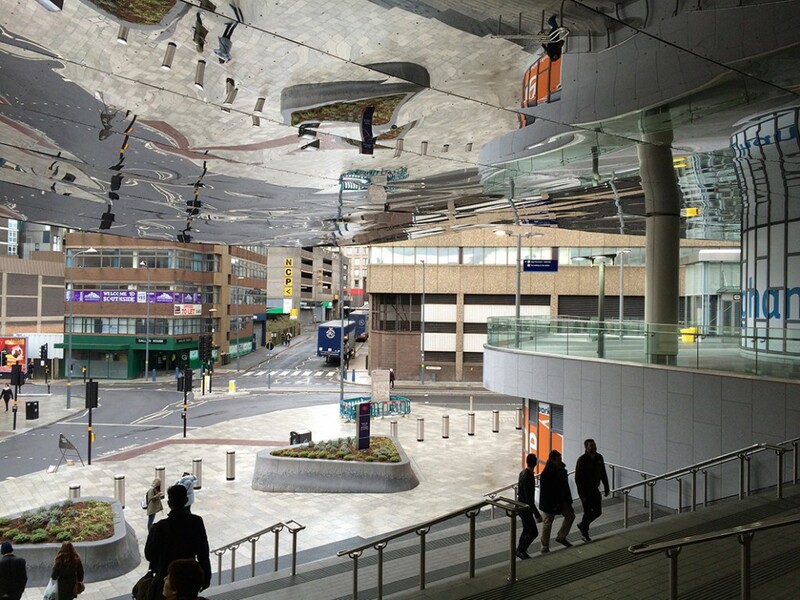 Even as we headed to the station, Birmingham continued to delight with Grand Central – a mesmerising building clad in reflective panels.